NEW ORLEANS, LA – March 1, 2019 – i.Invest is pleased to announce that the 2019 national youth business competition is now accepting applications. Young entrepreneurs between the ages of 13 – 19, with a demonstrable product or service, can showcase their innovative ideas in a real-world business competition designed for aspiring leaders. Starting today, youth from across the country can apply to participate in a six-month web-based program that includes three rounds of scoring, virtual group coaching, and one-on-one mentoring from industry and academic leaders belonging to organizations such as, Coca-Cola United, Microsoft, USDA, and University of Maryland. Now in its’ fourth year, i.Invest has attracted young business leaders from across the United States. Competing teams can win a share of $10,000 in cash and in-kind prizes, as well as receive numerical scores and written feedback from experienced professionals who volunteer their time to help young entrepreneurs build scalable businesses. Past winners have gone on to raise over $250,000 in pre-seed funding, create jobs, enroll in the best business schools in the nation, and earn recognition from media outlets across the country. The 2018 top winner, Pulse Wearables, the creators of a medical device that allows people struggling with heart disease to monitor their heart-rate levels, joined past winners, PrepUP and Beacon Health, in earning the title of i.Invest Youth Business of the Year. To qualify for round 1 scoring, applicants must submit a concept profile, executive summary and pitch video via the Reviewr online application platform by May 1st. The application fee is $29. Scholarships are available for students from economically underserved communities through LifeSkills Foundation, a 501 (c) (3) nonprofit organization dedicated to advocating for youth and youth entrepreneurs. All application submissions, mentoring, and scoring are done virtually. Applicants must have access to a PC, tablet or smartphone to participate. To apply, go to www.i-investcompetition.com. To become a sponsor or to learn more about the program, email info@i-investcompetition.com. This year’s cash prizes are sponsored by ASI Federal Credit Union – New Orleans, Premier Pediatrics of Houston, VentureWalk, and PR Solutions LLC. To see a complete list of prizes visit the website. PR Solutions LLC today announced the winners of the second annual i.Invest National Youth Business Competition. Five teams consisting of youth entrepreneurs, 13 to 19 years-old, walked away with cash and in-kind prizes after successfully completing a six-month web-based competition that included three rounds of scoring, group virtual coaching, one-on-one mentoring and a finale pitch event. First Place – PrepUP. Developed by Akhilesh Khakhar, a 17-year-old Brooklyn, NY high-school student, the free test preparation app brings students together on social media platforms to study for the SAT and ACT college preparatory exams. The app offers an interactive, live, head-to-head match between its users. Prize: $2,000 non-equity investment, title of i.Invest 2017 Youth Business of the Year and a one-hour consulting session with Don Morrison, serial entrepreneur and chairman of deal flow at BlueTree Allied Angels and former president and CEO of American Eagle Outfitters. Second Place – Face the Facts. Created by Jason Kao and Chauncey Lau, both 17, of New York, NY, Face the Facts creates apparel for environmentally conscious consumers and display graphics in a way that supports a social issue while raising awareness. Prize: $1,000 non-equity investment and a one-hour consulting session with Don Morrison, serial entrepreneur and chairman of deal flow at BlueTree Allied Angels and former president and CEO of American Eagle Outfitters. Third Place – Software Flow. Daniel Mousavi, 14, of Great Falls, VA., along with his younger brother, designed a board game and interactive game app – Immigrant’s Nightmare and Immigrant Challenge – to address the immigration crisis around the globe. Prize: $500 non-equity investment. Community Investment Award – Official Clutch Band. Birmingham, AL musicians, Timothy Huffman, 19, and his brother, Wesley Huffman, 17, help form the ensemble, Official Clutch Band. Performing a wide genre of music ranging from bebop, jazz, smooth jazz, R&B classics and Motown hits, the band released its first cd in 2016. Prize: $250 non-equity investment. i.Invest ‘Rising Star’ Award – HoverHouse. Riley LeHane, 13, of Rhinebeck, NY created a hoverboard party pop-up and equipment rental company. Prize: $100 non-equity investment. In addition, all the winners will receive a one-hour marketing consultation with PR Solutions LLC, a strategic marketing and public relations firm; the opportunity to be a vendor and/or speaker during the #EYECON Youth Conference in May 2018 at Morgan State University in Baltimore, MD; and, the chance to participate in a “Ask the Start-Up Attorney” no-fee virtual consulting session with Cherin Law Firm located in Pittsburgh, PA.
To download PrepUP: The New SAT and ACT Prep App for free, go HERE. To view the virtual finale pitch event, go HERE. The 2018 i.Invest competition will open for online applications, March 1 – May 1. Applicants must be between the ages of 13-19 and have a demonstrable product or service to compete. The application fee is $29. To receive event updates and for sponsorship information visit, the i.Invest website or contact Michelle Jackson at mjackson@i-investcompetition.com. Dr. Alain Briancon, CEO and Co-founder, Director, Kitchology Inc.
PR Solutions LLC is a strategic marketing and corporate event planning firm that specializes in working with new and established ventures to build viable business models and to integrate innovative marketing tools into for-profit and non-profit business strategies. PR Solutions is the parent company of the i.Invest competition. To learn more, visit http://www.prsolutions123.com. Akhilesh Khakhar, 17, of Brooklyn, NY is one of this year’s competitors in the i.Invest National Youth Entrepreneur Business Competition. Akhilesh’s company, PrepUP: The New SAT and ACT Prep App, is revolutionizing the world of testing by bringing students together on social media platforms to study for the SAT and ACT. PrepUP: The New SAT and ACT Prep App is a free iOS test preparation app that provides an interactive, live, head-to-head match between its users. Users can take customized ACT and SAT practice tests, solve Questions of the Day, and view in-depth answers and explanations to thousands of questions. What inspired the creation of PrepUP? Two years ago, I suffered from a concussion that caused my brain to work and think differently. After months of physical therapy, I discovered that genuine interest and competitions were important in learning. I took this newly found knowledge and applied it to the development of a testing platform that would allow me to impact how high-school students studied for college-preparatory exams. I am proud to say that I am a 99-percentile scorer. Test preparation is incredibly expensive for most households, yet is necessary to achieve the high scores required by top universities. PrepUP provides the service at no charge for everyone who needs it while bringing people together to study and compete in a fun and educational way. How will PrepUP impact the world? PrepUP’s impact within the field of education and college-prep testing is groundbreaking. The venture will make B2B connections with established test preparation companies and school districts throughout the country. Students can download the application for free as part of their syllabus and lesson plans with its unique ability to personalize practice tests and tailor-made Questions of the Day. PrepUP is making studying fun and free at the same time. What are the next steps for PrepUP? Earlier this year, PrepUP became available at the iTunes app store. PrepUP is seeking to raise $50,000 to optimize the application and make it available for all mobile platforms. To stay abreast of PrepUP’s progress in the i.Invest Competition, sign up for our newsletter at www.i-investcompetition.com. To mentor or invest in the company, email info@i-investcompetition.com. In 2016, 19-year-old founder of Beacon Health, Shrenik Jain, took home the top prize from the i.Invest National Youth Business Competition with his mobile app designed to help people struggling with mental illness. Since winning the competition and being named the i.Invest 2016 Youth Business of the Year, Jain, Co-Founder Ravi Shah and Chief Data Scientist Satya Prateek Bommaraju, have diligently worked to transform their innovative idea into a successful health IT business. Beacon Health’s mobile app has captured the attention of investors and customers from public and private sectors. The platform allows users to create an anonymous profile, search for the issue most relevant to them and instantly be connected with other Beacon Health members with similar mental health challenges as well as trained professionals. The platform offers anonymity and support by utilizing a natural language processing algorithm that can detect vulgar or malicious content and therefore prevent cyber bullying. Since winning the i.Invest top prize which included $2,000 cash and a host of in-kind awards last October, the Beacon Health team has raised $225,000 in pre-seed funding. They will open a seed round with the goal of raising $600,000 in May-June. The ideal investors would be focused in healthcare and bring potential deployment sites in addition to capital. The current backers include, the National Institute of Health (NIH), Johns Hopkins University and the Maryland Technology Development Corporation (TEDCO). NIH is mentoring the team in an effort to help them secure SBIR grants. The Beacon Health staff has also grown. They currently have 10 employees, and are considering opening a second office in Boston, which will focus on research and development. They have signed 9 LOIs, some from major cities such as Denver and Nashville, to deploy their product once the pilots conclude. Beacon Health’s app is live at several pilot sites, including Johns Hopkins University and Mindoula Health. For more information on how to connect with Beacon Health email info@i-investcompetition.com or go to, http://www.beaconhealth.co/. Congratulations, Shrenik, Ravi & Satya! A’Niyah Dixon, 13, from Manchester Academic Charter School in Pittsburgh, PA, is one of this year’s competitors in the i.Invest Competition. With her business, Winter’s Heart, A’Niyah hopes to put an end to chapped lips once and for all. Winter’s Heart is a bubble gum lip balm that A’Niyah plans on marketing to both females and males. Unlike other lip balms on the market, A’Niyah crafts her products with safe ingredients including food dye, petroleum jelly, bees wax and bubble gum. To appeal to everyone, the lip balms are clear and sold in different colors; therefore, males can purchase a product traditionally sold to women. What inspired the creation of Winter’s Heart? After trying a number of different brands, A’Niyah became frustrated that no lip balm on the market was able to cure her dry, chapped lips. When she began to research the industry, she was shocked to see the ingredients in some of the big name products on the market, so she decided to create a safe lip balm that would protect and heal damaged lips. What challenges will Winter’s Heart face? The cosmetic market is incredibly competitive and dominated by big name brands that hold a large market share. A’Niyah will have to invest a significant amount of capital into marketing to expand outside of her community. Because she hopes to market to both females and males, A’Niyah will face a challenge presenting lip balm in a way that is appealing to both genders. She may have to consider expanding her product line to include other scents besides bubble gum to attract a larger customer base. How will Winter’s Heart impact the world? A’Niyah hopes to solve a problem that many people face on a daily basis: dry, chapped lips. She also hopes to serve as an inspiration to her community and prove that kids, even at the young age of 13, are able to get out there and make a difference in the world with hard work and dedication. What are the next steps for Winter’s Heart? A’Niyah hopes to secure funding to expand her business in the near future. She plans on using the funds to pay for advertising and also to expand her existing product line. She hopes to also have business cards created so she can pass them out in her community and spread the word about Winter’s Heart. To stay abreast of Winter Heart’s progress in the i.Invest competition, visit www.i-investcompetition.com and register for the i.Invest newsletter. Also, to provide support as a mentor or investor, please email info@i-investcompetition.com. Rahul Yerrabelli, 18, Benjamin Pikus, 18, Himanshu Dashora, 18, Parth Singh, 19, and Adam Polevoy,19, from Johns Hopkins University in Baltimore, MD, are one of the teams participating in this year’s i.Invest Competition. Each of these young men are studying Biomedical Engineering, and were eager to solve one of the many issues facing the medical community with their company, MoTrack Therapy. MoTrack is a virtual reality software that has completely revolutionized the way that patients can receive physical therapy for hand and wrist injuries. Using the Leap Motion hardware and a webcam, MoTrack can track and interpret movements made by the patient’s hand and wrist. The patient can therefore complete physical therapy exercises at home and receive feedback on ways to improve in real-time. Because the exercises are designed to be more interactive and entertaining than traditional physical therapy, it is expected that MoTrack will have a higher rate of patient compliance to the regimen. What inspired the creation of MoTrack? After a friend suffered a serious wrist injury from playing cricket, these young men were surprised to see the intensive, time-consuming therapy that was needed to treat his injury. Years later, they participated in a weekend-long hackathon, MedHacks, where they were asked to use various gadgets to create a new medical invention. One of these gadgets happened to be a hand-tracking sensor used to track movements in virtual reality gaming. After putting their heads together and brainstorming, MoTrack was born. What challenges will MoTrack face? There are a few competitors in the same industry. However, MoTrack has the competitive edge when it comes to size and portability of the device. Furthermore, the current competitors are either focused in the European market or focused in general body therapy as opposed to hand therapy. In order to be successful, MoTrack will need to focus on educating consumers about the benefits of choosing MoTrack over other forms of therapy. How will MoTrack impact the world? Hand and wrist therapy is not only time-consuming, but costly and inconvenient as well. With MoTrack, patients will no longer have to schedule multiple appointments and travel to medical professionals’ offices to receive treatment. Instead, they will be able to do recommended exercises in the comfort of their own home while still receiving feedback about their progress and how they can improve. The cost of MoTrack therapy is far less than the cost of an in-office physical therapy appointment, so this software allows people of all income levels to receive the care that they need. What are the next steps for MoTrack? MoTrack has received $10,000 in non-dilutive funding from the Johns Hopkins University Ralph O’Connor Fund as well as an additional $300 from a Johns Hopkins University DMC grant. MoTrack hopes to secure another $50,000 from investors to cover the costs of patenting, running clinical trials and launching a large-scale marketing campaign. To stay abreast of MoTrack’s progress in the i.Invest competition, visit www.i-investcompetition.com and register for the i.Invest newsletter. Also, to provide support as a mentor or investor, please email info@i-investcompetition.com. Good luck, Rahul, Benjamin, Himanshu, Parth and Adam! Shemar Coombs, 19, from Pennsylvania State University in Philadelphia, PA, is one of this year’s competitors in the i.Invest Competition. After dealing with tangled or lost headphones for far too long, Shemar came up with a solution to this problem with his company, Rap It Up. Rap It Up is an iPhone case that allows customers to store their headphones safely without having to worry about them getting tangled or damaged. This case features a U-shaped channel on the side to easily and neatly store headphones. Designed with 3D printing, Rap It Up is sleek and sophisticated, so customers won’t have to worry about toting around a bulky phone case. What inspired the creation of Rap It Up? While Shemar was in a Network for Teaching Entrepreneurship class, he was given the task of coming up with a business idea that would make an impact in the world. It just so happens that in the same week he was given the assignment, he learned about 3D printing and its capabilities. With this knowledge in mind, he set out to put an end to the annoyance of tangled and damaged headphones once and for all. What challenges will Rap It Up face? The smartphone accessory market is very competitive and crowded, so Rap It Up may have to spend a substantial amount of capital on marketing to secure distribution. Although there are a few competitors in the market who have similar products, each of them has disadvantages. One of the competitors has a much bulkier design that makes it inconvenient to carry, while the other does not allow customers to use their own headphones. Once 3D printing becomes more mainstream, Rap It Up may face other competitors who also want to take advantage of this new technology. How will Rap It Up impact the world? Not only does Rap It Up solve a common problem that customers face on a daily basis, Shemar will also use his platform to better the world around him. Shemar is passionate about recycling, so when his business is up and running, he plans on encouraging customers to recycle old, unused phones. Customers who follow Shemar’s lead by recycling will be rewarded with a slight percentage off of the purchase price of a Rap It Up case. What are the next steps for Rap It Up? Shemar hopes to secure funding after this competition to help Rap It Up cover patenting and marketing costs. Because of the competitive landscape of the phone accessory market, Shemar plans on dedicating the majority of any funds to building a strong brand presence. To stay abreast of Rap It Up’s progress in the i.Invest competition, visit www.i-investcompetition.com and register for the i.Invest newsletter. Also, to provide support as a mentor or investor, please email info@i-investcompetition.com. Randy Wu, 16, from Henry M. Gunn High School in Palo Alto, CA, is one of this year’s competitors in the i.Invest Competition. LyfeCycle, which started as an idea in a model UN class, has now turned into Randy’s life mission: to help the less fortunate in developing countries. LyfeCycle is a nonprofit organization that is on a mission to mobilize people around the world using bicycles. This nonprofit donates specially designed and assembled bicycles to students, entrepreneurs and healthcare workers in Bangladesh. The bikes are designed to meet the unique needs of each village in Bangladesh, something that differentiates it from its competitors. LyfeCycle recruited volunteers in Bangladesh to support their mission by contacting high schools and universities in the area. These volunteers run the division overseas and also support efforts to get the local government involved in the mission. Currently, bikes are sold through the local Bangladeshi government who support the efforts to improve the lives of citizens in rural areas. What inspired the creation of LyfeCycle? LyfeCycle started as a project in a model UN class Randy’s friends from New York, Jason Lu and Ariful Islam, participated in. They recognized that in developing countries, distance to healthcare, education and job opportunities hindered a lot of people’s ability to have a better quality of life. They knew that giving these kids bikes would greatly alleviate the stress they felt in getting to school, so they set about figuring out how to provide bikes to developing countries. Randy was passionate about providing both educational and industrial opportunities to the youth and wanted to help them achieve their goals. What challenges will LyfeCycle face? Because LyfeCycle is a nonprofit that relies mainly on donations, grants and fundraisers, raising enough capital by spreading the word about LyfeCycle’s mission will always be a priority. Right now, LyfeCycle is focused on providing bikes to citizens of Bangladesh, so they will need to expand resources in order to move into other territories. How will LyfeCycle impact the world? LyfeCycle enhances the lives of people in developing countries, specifically Bangladesh, by providing them with bicycles. When bicycles are given to underprivileged people in Bangladesh, they immediately have access to better educational, economic and healthcare opportunities. LyfeCycle is making the world a better place, one bicycle at a time! What are the next steps for LyfeCycle? LyfeCycle is currently partnered with the fourth largest law firm in the world, Kirkland Ellis, LLP. In the near future, LyfeCycle hopes to secure at least $3,000 in funding to expand their operations. With these funds, LyfeCycle will be able to offer more incentive for local organizations in Bangladesh to help their cause, and also secure more bikes that can be donated. To stay abreast of LyfeCycle’s progress in the i.Invest competition, visit www.i-investcompetition.com and register for the i.Invest newsletter. Also, to provide support as a mentor or investor, please email info@i-investcompetition.com. Innovation should never be contained, stored or leashed. To grant it the freedom it needs to change the world, it must be unfettered then fueled. But the fueling becomes the problem. In order to properly drive innovation, public and private sectors must create pools of resources accessible to both thriving ventures and start-up companies. In a perfect world, every program created in the name of entrepreneurship would offer hefty funding resources, mentorship and collaborative opportunities. But we live in the real world. With countless limits on capital resources for new businesses and political opposition to funding more research and development, roadblocks to innovation will continue to exist over time unless we act now. 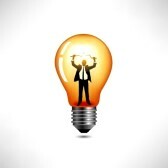 Innovation requires the willingness to fail and learn. But failure comes at a cost that most investors don’t want to take on. Innovators with great ideas often fail at the early-stage because of a lack of financial support. Programs created to help them will often offer assistance worth the value of one sling at the wall and nothing more. To change this, we must shift our psychological acceptance of failure and instill new ways of thinking into public and private program development. Although failure may be final to most investors, to a serial entrepreneur it can be the beginning of a new onslaught of creative ideas and concepts that deserve a chance at success. Let’s work together to ensure that innovators are provided the resources they need to soar. Entrepreneuring Youth (EYouth) has created and launched its first online crowdfunding campaign on Indiegogo. 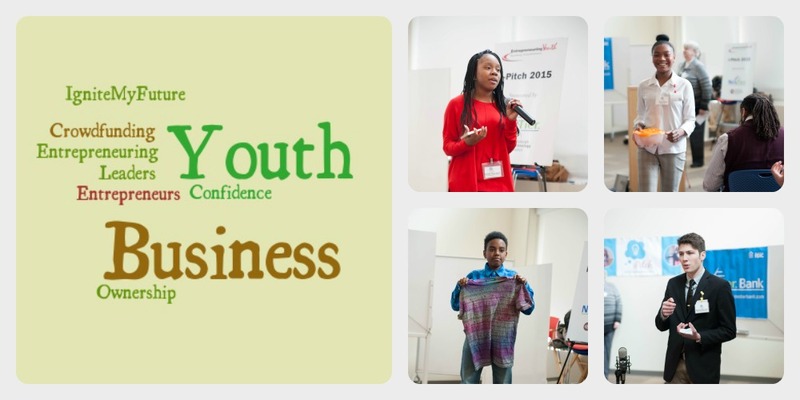 With an initial goal of $15,000, the campaign will run until July 30th and support EYouth’s entrepreneurship summer program for middle and high schoolers in Pittsburgh’s Hilltop communities. PITTSBURGH, PENNSYLVANIA – On May 30th, Entrepreneuring Youth, a Pittsburgh-based nonprofit that teaches middle and high-school students entrepreneurial skills, launched its first crowdfunding campaign to support the Ignite My Future Summer Entrepreneurship Camp for kids. During the four-week camp, 25 students from the Hilltop communities will learn how to create their own business, develop a business plan and pitch their products to investors and customers. Detailed campaign information can be viewed at: http://igg.me/at/IgniteMyFuture/x/10829366. Over the last six years, EYouth’s in-depth entrepreneurial learning experiences have reached over 500 area students, some of whom remain engaged for multiple years. Through program facilitators at Beaver County Youth Entrepreneurship Collaborative, Brownsville Area School District, Entrepreneuring Youth’s Hilltop E-Center, Manchester Academic Charter School and Urban Pathways Charter School, students have learned to think and act like business owners. Funds from the campaign will help EYouth hire instructors, pay for transportation to field trips and develop retail expos to enable students to learn from entrepreneurial business leaders and to earn money from the sale of their products. For more information about the campaign contact Michelle Jackson at info@prsolutions123.com. Entrepreneuring Youth is a 501(c) (3) non-profit organization that develops entrepreneurial learning programs based on real life business creation experiences for middle school and high school students. EYouth’s vision is to offer every young person, regardless of their early life circumstances, the chance to seize and create opportunities to achieve the life they really want and to build the vitality of their community through entrepreneurship. To learn more visit: http://www.eyouthamerica.org/.